Over the last three years, NBA All-Star Kevin Durant has managed to become a focus for Nike. KD is now up there with stars such Dwayne Wade, Kobe Bryant and LeBron James. Though a future star in the making, his signature Nike line doesn’t get the high profile attention that ‘King James’ and the ‘Black Mamba’ receive, that’s how KD likes it though. 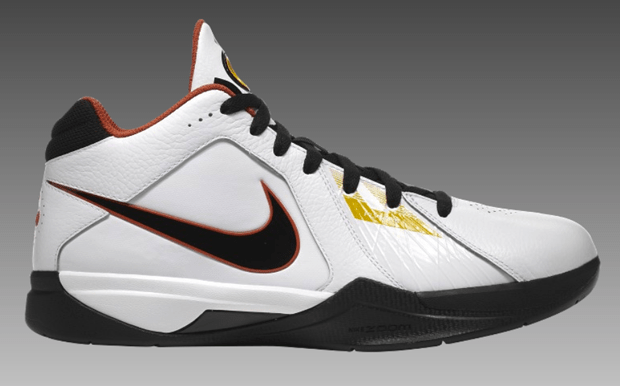 Like the LBJ 8’s and Kobe VI’s, the KD III is basically the big brother of its predecessor, the KD II. These two colour-ups come in the choice of either White/Orange, for a OKC Thunder ‘Home’ vibe, and an all black version that is the kind of colour-up ballers favour. 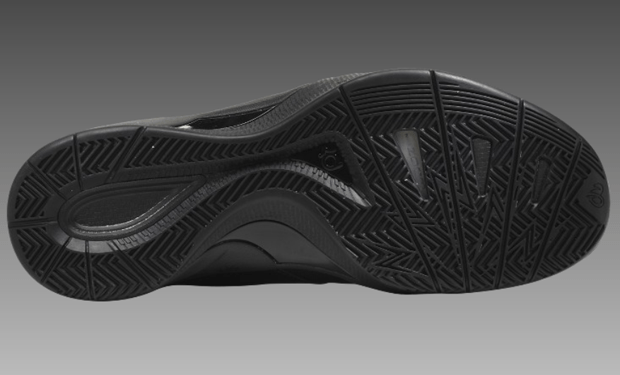 The upper combines full grain leather and Flywire for extra durability and ultra-lightweight support and comfort. 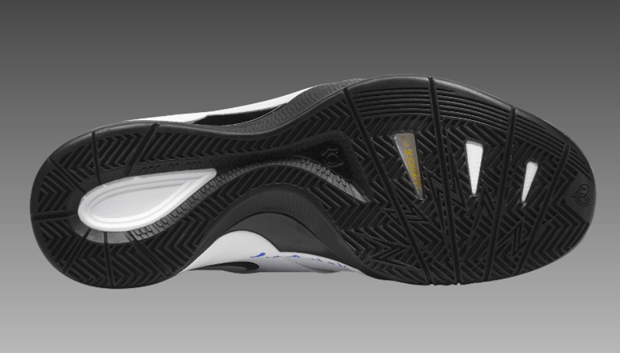 A Nike Zoom unit has been placed in the heel, providing all the cushioning needed on the hardwood. 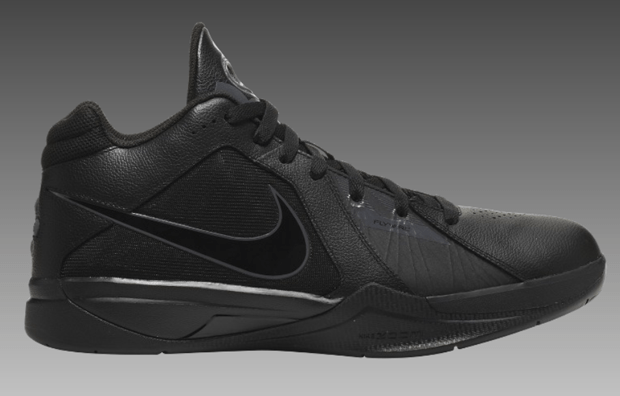 Signature details such as the story of Durant’s hobbies and fond memories of playing ball are found on the outsole in an AJ X like manner (also found on the KD II as well), KD’s logo can be found on the tongue and other signature touches such as the piano keys near the heel represent Durant’s passion for music. Though the KD III is not as aesthetically pleasing as the KD II, it’s an excellent development in the KD signature line and gels well with the development of this incredible player.